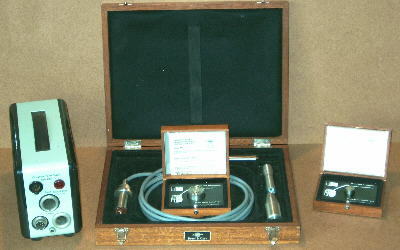 With an arsenal of test equipment, ranging from a trustworthy old Ferrograph RTS-2 & ATU Test Set, Vintage B&K "Valve" Calibration Microphone kit, Calrec Test Set, Neutrik Test & Service System to the excellent PC based "MLSSA", system analyzer. Whenever possible, microphones from my own "Private" collection are used as reference units, during AB comparison tests etc. These units are kept in "Tip Top" condition at all times.